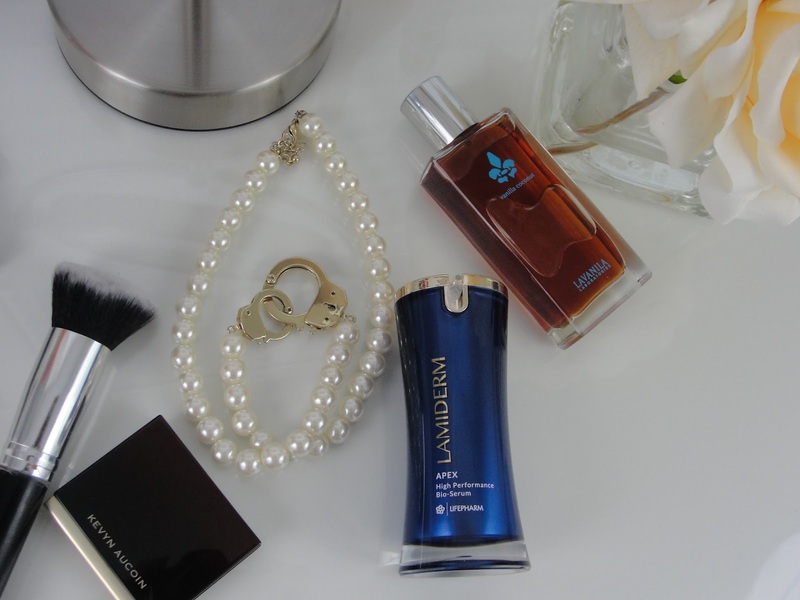 It is very exciting to be able to try products before they even launch, don´t you think? 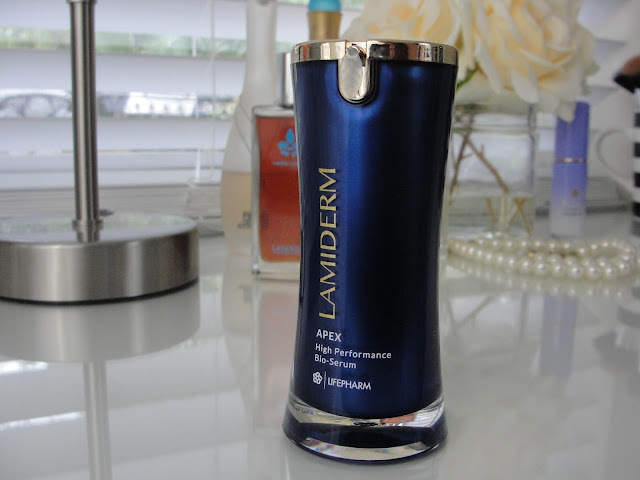 Well, I am one of the first people that has tried the brand new Lamiderm Apex High Performance Bio-Serum! First things first: the packaging! How beautiful is this bottle? Gorgeous! But now comes the really intriguing part: the serum contains fertilized Avian egg extracts! What? Why? Well, eggs contain the most amazing ingredients! The Fertilized Avian Egg Extract has been shown to boost elastin, fibronectin and collagen by up to 350 percent in just three days (based on studies from the University of Toronto with Human Skin Cell Cultures). The Fertilized Avian Egg Extract is powered by the LOX (lysyl oxidase) enzyme activator, which naturally triggers the production of collagen and elastin in the skin. This is a light weight thin, yellowish to clear serum that applies very easy. 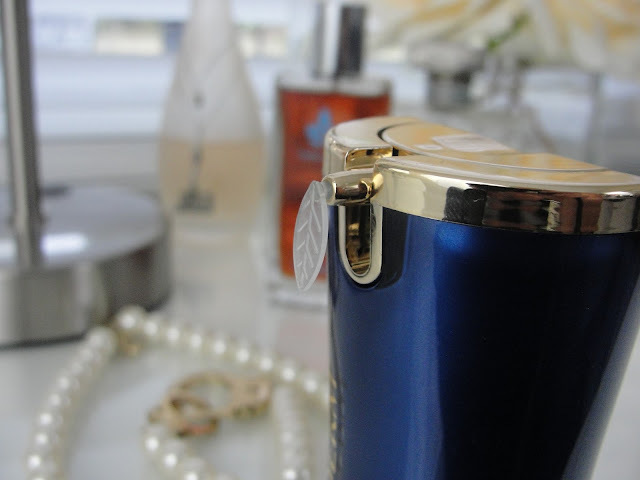 No detectable scent, which is great for our sensitive gals. It absorbs fast and undetectable and gives me great ingredients with anti aging benefits. I still need a moisturizer on top of this serum. I love that it also contains Vitamin C- my absolute must every morning as this works as an Antioxidant and reverses skin aging as well as evens out the skin tone. 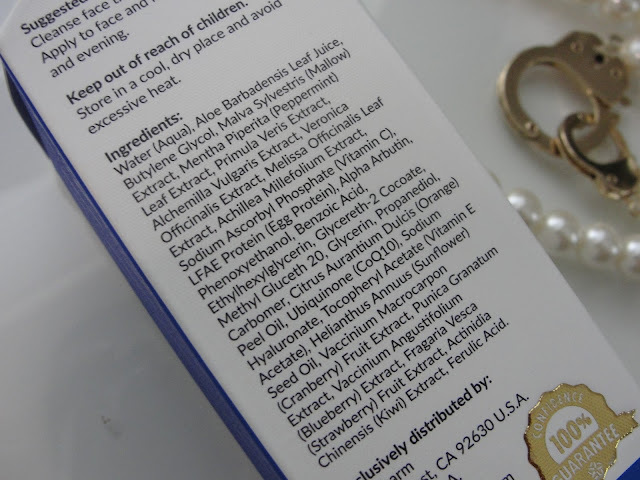 I am also really intrigued by the fertilized egg extracts! 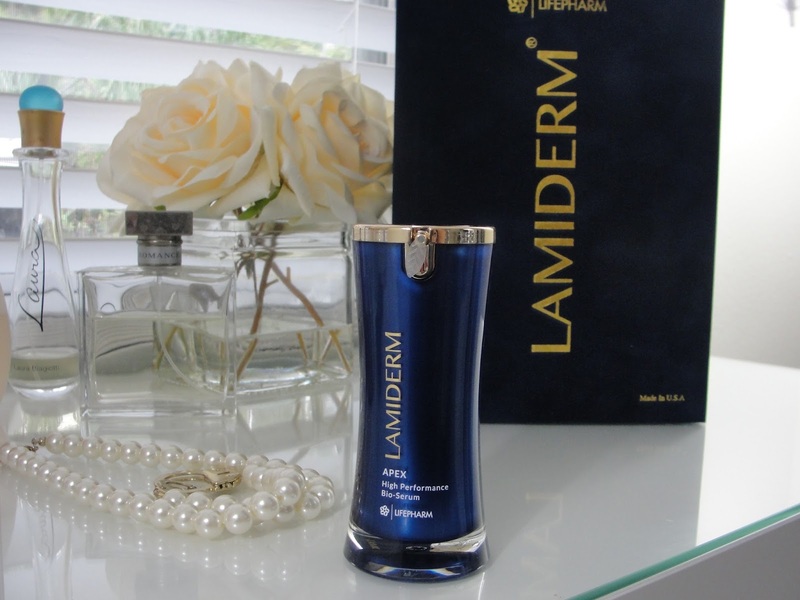 The Lamiderm Serum will launch hopefully soon and you can see then more information on this website: http://www.lamidermskincare.com/. Here is a little brochure about the serum. 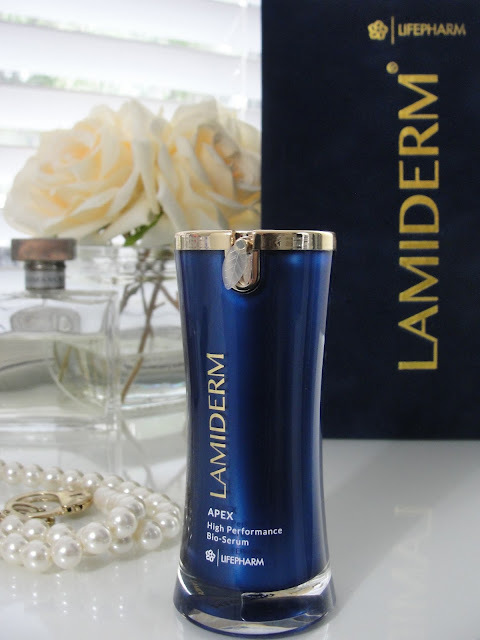 Thank you Lamiderm for sponsoring this post. I only recommend products or services I use personally and believe will be good for my readers. Read my full disclosure.